It’s a guiding principle for the 2007 Western Hockey League Champion and WHL Scholar in every decision he makes. It started back in 2003 when the now 31-year-old was drafted in the 10th round, 190th overall by the Medicine Hat Tigers. And that is exactly Bosch’s story. His WHL career was monumental, recording 191 points (73G-118A) in 281 games along with four straight WHL Playoff runs, one resulting in a WHL Championship. Bosch was also named the captain of the Tigers for his final season in 2008-2009. Beginning in the 2005-06 WHL Regular Season, Bosch joined the Tigers full-time and for the subsequent four years, the Tigers clinched a playoff position. In the 2006 WHL Playoffs, they advanced to the Eastern Conference Championship but fell to the Moose Jaw Warriors. The next season, the Tigers improved upon their previous record, winning the Ed Chynoweth Cup and competing in the Memorial Cup. Although Medicine Hat made it to the final of the Memorial Cup, ironically, they were defeated by the Vancouver Giants; the host team, despite the Tigers beating the Giants for the WHL Championship just weeks earlier. For his efforts at the Memorial Cup, Bosch received the George Parsons Trophy, an award presented to the most sportsmanlike player in the tournament. Although a prestigious award, it’s not what comes to Bosch’s mind when remembering the successful year. 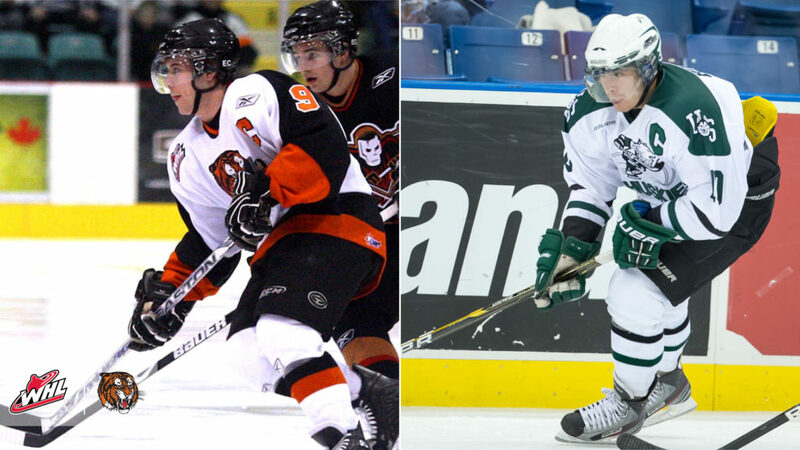 Not only did Bosch gain lifelong friendship through his time with the Tigers, he also earned his WHL Scholarship, which allowed him to join the University of Saskatchewan (U of S) Huskies and continue his education. During his time in Canada West, Bosch played with the Huskies for five years, captaining the team for his last two seasons, 2012-14. Under Bosch’s guidance, the Huskies qualified for the U Sports University Cup both years. In total, Bosch recorded 111 points (50G-61A) in 131 games and four points (1G-3A) in his five University Cup tournament games. While attending U of S, Bosch attained his Doctor of Pharmacy (Pharm.D.) degree and now works at the Saskatchewan Cancer Agency as an oncology pharmacist. “I’ve always wanted to help people,” Bosch said. “My uncle was also in the field, so it gave me a bit of an idea of what I wanted to do, but I think a lot of it paralleled from hockey. Whatever career you choose, you need the same qualities in hockey. It teaches you the value of hard work, how to be accountable and time management skills – all characteristics that you need for team and career success.